I was half way through this weeks post before I realized I had to delete it and start again because the albums I had selected had not been released this week even though it had been claimed on bandcamp. So while I consider if it is worth my time creating the full list each week, if I can’t be sure about release dates, I will look forward to the releases listed for tomorrow instead. Should we make this the regular post and drop the bandcamp releases page all together? If you know of a full album stream for any of the missing releases above please let us know in the comments and I will update the post. I’m looking forward to checking out the new Mobina Galore, and Napalmpom. Goooooood morning or afternoon! (The thought occurs that someone could object to Napalmpom as a name, the same way as to Vietcong (now, ugh, Preoccupations). I’m off out to the shops through the wind and rain. If I am not back by Monday feel free to send a search party… or not. garf, funny. Because, here at least, the n word coming up in the next line was long ago replaced by “tiger”. SInce at least the Seventies, maybe even the Sixties. I only knew the rhyme as “tiger”, in fact I think I was an adult before I learned the original line. Good luck braving the wind and rain, Eeyore! @BfO When I was a young child we would use the N word, but that was long before we knew what it meant and by the time I was a teenager it had changed to tiger and in the past few days I have seen the word piggy used instead. I too grew up with the word tiger in the rhyme but was aware that it was a replacement word. As to the outcry over the shirt, it seems a bit overboard. It was a very creepy line and a terrifying part in the show that had nothing to do with race. As to the new music question, you know how I feel about the bandcamp new releases I think. Way too much work for what it’s worth but you were the one doing it. I got a chance to listen to Leif Vollebekk’s new album and it is marvelous. You will be hearing a lot more about that album in the months ahead. Peter Peter and The Luyas I look forward to hearing more from as well. Mobina Galore finally releasing another album is very exciting. Napalmpom should also be a good listen. Yay for new music! I didn’t mind putting the page together because it was something I knew I could do. It was just taking the data from a site, messing around with it a bit, and posting it here. There seemed to be some that got some use out of all the bandcamp releases. I still found it just too much for me. I did prefer you just putting a few tracks up on the post with the rest on another page. The playlist post tomorrow is about Searchlight. I am having trouble getting through all the Searchlight entries as well. I will be needing help! I keep wondering if I should contact the bands with releases next week to see if they would allow us to stream the day before release. The ones up there are “borrowed” from other sites, I didn’t think they would mind with only one day to go. We could switch it to Fridays and have Playlist Thursday instead. Thursdays are usually my best evening to work on posts but if I plan ahead it isn’t an issue. I think I am finally getting better! I was not able to go to see Old Man last week because I was so far gone. Today I am going to meet with a staffer for a local festival to see what I can as a volunteer. I am going to start my listening with bands I do not know but I am looking forward to getting to The Luyas as well as Leif Vollebekk. Hi morgana. I am glad you are getting better. Hi Darbar. You all better? I see the Jerry Cans are playing Kaslo, I have much ROMO on that, I’d love to see them play live, but don’t think they’ll ever make the trek down here. @Janet I am particularity looking forward to hearing them live. Have you listened to the Tanya T and Buffy St M single that is on the Polaris page? You may enjoy it as well. @Eeyore we have that? Cool! Would I be right in thinking that the health benefits of the hazel nuts I just ate were offset by the fact they came in a bar of chocolate? That can’t be true or else the almonds I just ate have also been cancelled out by the chocolate wrapper. No shortage of fun to be had out there! @Morgana, I did and I love it! I think the health benefits of the hazelnuts are still present, they just have a tasty delivery method. I am mostly better. A bit of cough left and energy not quite there yet but much better. Thanks. Jerry Cans are in Searchlight this year and have gotten a few votes from me. Kaslo would be so much fun and I wish I could make it happen. That Tanya and Buffy collab was fabulous! there it is! 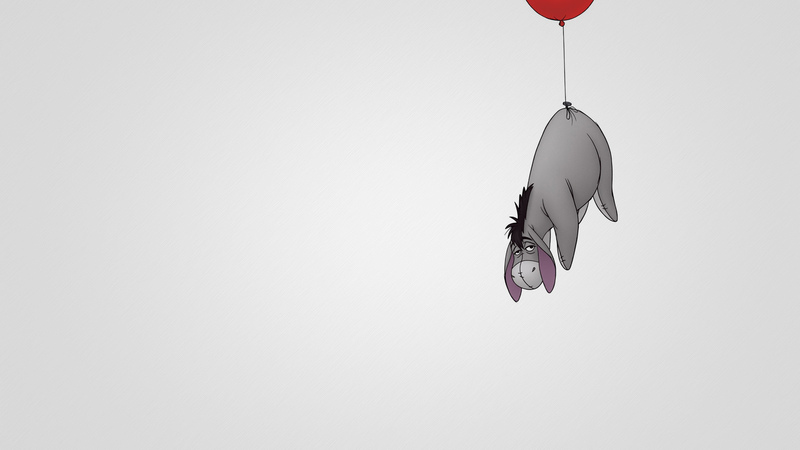 Oh I do love Eeyore, so sincere. @Darbar I am not sure that I can make it to Kaslo yet either. I was turned down for the days off. We are going to have a trainee soon so I hope I can get them to take the shifts that are currently preventing me from attending. I don’t recall there being Polaris collaborations before … am I just gapping? My kid really likes it as well. @garfielduk bah! just tell the haters that E.E. Milne would disagree with them. Polaris has had artists covering other artists but I am not sure about collabs. Apparently Tanya and Buffy started working on it at the gala last year. Love it! I read the report it’s based a a few years ago. I’ll see if I can dig it up. the prawns and snapper that I bought over a week ago were never cooked because I was sick. now I have to deal with them; so nasty and stinky!! no zen in this gross job! i’ll be back after I recover. Those articles about Winnie the Pooh and the mental health disorders make me sad. Those researchers need to stop overthinking childhood favourites. That makes sense. Having relatable characters are important. And with that, I’m off! Have a good night! Cars aren’t supposed to drive through the streetcar tunnel at Union Station, but for the second time in less than a year, a car found itself stuck in the tracks beneath Toronto’s busiest transit hub.